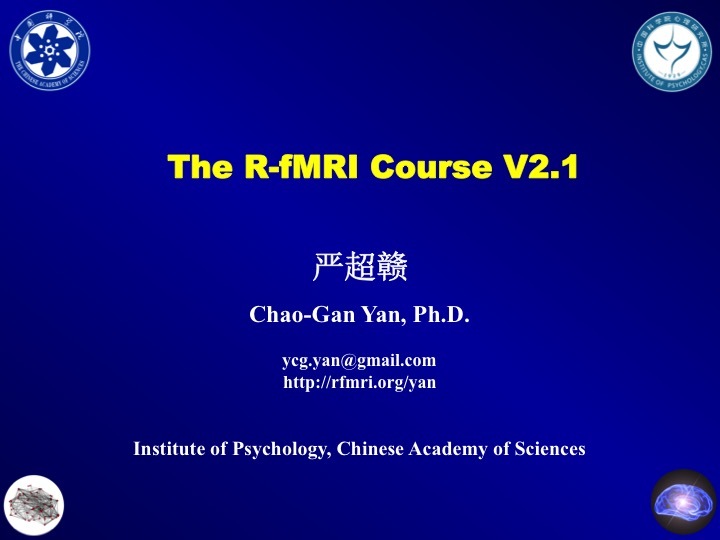 The R-fMRI Course was firstly released on July 15, 2009. 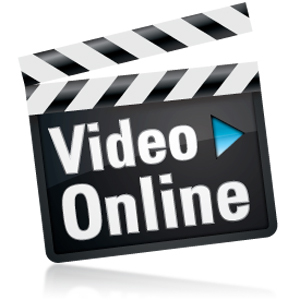 During the past 6 years, the course was kept updating, and received more than 110,000 views. I have released the R-fMRI Course V2.1 as above, however, if you want to look at the R-fMRI Course V1.0, please see below. 1. How to use REST DICOM Sorter to arrange your data. 2. How to use SPM to preprocess your data. 3. How to use REST to detrend and filter your data, and how to use REST to calculate Functional Connectivity (FC), Regional Homogeneity (ReHo), Amplitude of Low-Frequency Fluctuation (ALFF), Fractional ALFF (fALFF). 4. How to use DPARSF to perform the one-stop analysis (from DCM2nii, preprocessing to FC, ReHo, ALFF, fALFF calculation). 5. How to use REST and DPARSF to regress out the nuisance covariates and extract ROI or AAL time courses. I strongly recommend the new users download this multimedia course, this will keep you out of many unnecessary errors. 1. How to use SPM to perform Statistical Analysis. 2. How to use REST Slice Viewer to view your results, set cluster size, make ROI mask files and create pictures suitable for publication. 3. How to use REST AlphaSim to perform multiple comparison correction. 4. How to use REST Image Calculator. 5. Other functions of REST: converting .nii files to .imd/.hdr files and REST's reading and writing functions. 1. The different processing order in DPARSF V2.2 Advanced Edition. 2. 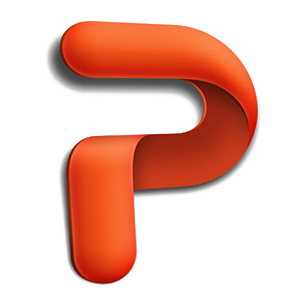 The details of new functions in DPARSF V2.2 Advanced Edition. 3. The Template Parameters in DPARSF V2.2 Advanced Edition. Hope some topics here will be of your interest. 本视频是受广东省中医院总院刘波主任之邀，介绍了本人在SCI论文写作中的一些经验和教训。这些经验和教训不一定正确，也许对大家有些参考价值。视频中以处女作PLoS ONE文章和第二篇Cerebral Cortex文章为例，介绍了在文章选题、实验设计、数据处理、论文写作(Title / Abstract / Introduction / Methods / Results / Discussion / Conclusion / References)以及按审稿人意见修改等方面的经验。希望对大家有所帮助!